We welcome you and your child to year 1. This is to let you know about some of our routines. Staff – The teachers for Sunshine class are Mrs Shynn (teaching Wednesday, Thursday, and Friday morning) and Mrs Emma Haisell (teaching Monday, and Tuesday) supported by Mrs Grieve our class Teaching assistant. Also supporting us is Mrs Blackburn (Friday afternoon). Our student teacher is Miss Cooper who will be in the classroom Monday to Thursday. Early morning routine – Your child can go into the playground from 0820 (with book bag and lunchbox) on Monday and Friday, and when the bell rings at 0830 the children will line up with their belongings, and then go into the year 1 classroom. On Tuesday, Wednesday and Thursday mornings the children can go into school at 0820 for their response marking and to read before school starts at 0835. Please let the children become independent in looking after their own belongings in the cloakroom before they enter the classroom. The register is called in class at 0835 promptly and closes at 0840. Fruit time – The children can have a piece of fruit after break at 1030. Year 1 is given a free piece of fruit or vegetable as part of the government’s scheme, or they are welcome to bring a piece of fruit as a snack from home. Drinks – Each child will need to bring in a named water bottle to drink throughout the day. If they have a sports bottle with a pop up top, then these can be kept on their table in the classroom. Other types of bottle may have to be kept on the draining board or side of the classroom, where they can access them at any time. End of day routine – The day ends for the children at 1500 with the siblings going outside to be picked up and the singles going into the year 4 classroom until they leave at 1515. Year 1 parents can pick up their children from the pick up point (near the car park) from 1500/1515 as applicable. Toys – Please can you make sure you child only brings in one toy at a time, and it needs to be small, unbreakable and not valuable! Their toy then needs to be kept in your child’s bag on their peg. Toys that encourage aggressive play will not be allowed. Uniform – We ask that you regularly check that all clothing is clearly labeled, especially jumpers and coats, including their PE kit, and that all children are provided with a hat in hot weather, and a coat when it is cold or wet. We like to get the children out at playtime everyday, even in light rain! P.E – Our class will have PE and Dance lessons each week, so please make sure their kits are in school each week, these should be brought into school on Mondays and take home to wash on Friday if necessary. We do only have a small amount of spare kit for anyone to use. Reading – We will be doing various reading activities every day, and therefore please make sure that the children always have their books in their reading bags in school. Every child will continue with their reading record, and it is helpful if you can write in it each time you read with your child, and adults at school will do the same to keep you informed of your child’s progress. However I need to stress that these books are mainly a home reading book, and we will not always hear them read these books. Please be aware that sometimes the children will repeat pages or even whole books to develop fluency and accuracy and we may not necessarily change a book each time they get to the end, as we have to make sure of their understanding of the story and the characters in the book. We will move them on to another book when we are confident they are ready. On Monday, Tuesday, Wednesday and Thursday mornings we will have a reading time from 0900 until 0920 after collective worship. We like to share reading time with as many parents as possible, as Mrs Jacobs will be working with children needing extra support, and teachers often work with guided reading groups. Please try to come to hear children read if you can, as the more parents means more children can be heard daily to read. 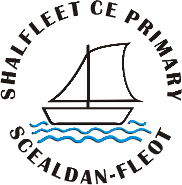 Homework – When the children have settled well into school, they will have spelling homework that Mrs Smith will send out on a Monday morning and Mrs Shynn will test the children on their spellings on the Friday. Maths homework will follow probably during the second half term of Autumn and will go out on a Friday, due back the following Friday. This gives parents the choice of helping with homework during the week or at a weekend. We will send out homework when we feel the children are ready. For the first half term we would ask that you play oral counting games as well, for instance counting cars. Spencer and Charlie Bear – We are lucky to have 2 resident bears in year 1. Spencer and Charlie like to go home with a different child each day. The children can draw or write about their adventures in the diaries and they can then share it with the class the next day. We also have a writing for fun box which is filled with pens, paper and possibly stickers. This is for the children to have fun with and will not be shared with the class. Thank you for taking the time to read this very long letter! Hopefully the information will help you and your child to settle quickly into year 1. If you have any concerns or questions about your child or our routines, then please do not hesitate to speak to us before or after school. We hope that this will be a fun and happy year. Y1 MTP Spring 1 – Fee Fi Fo Fum!